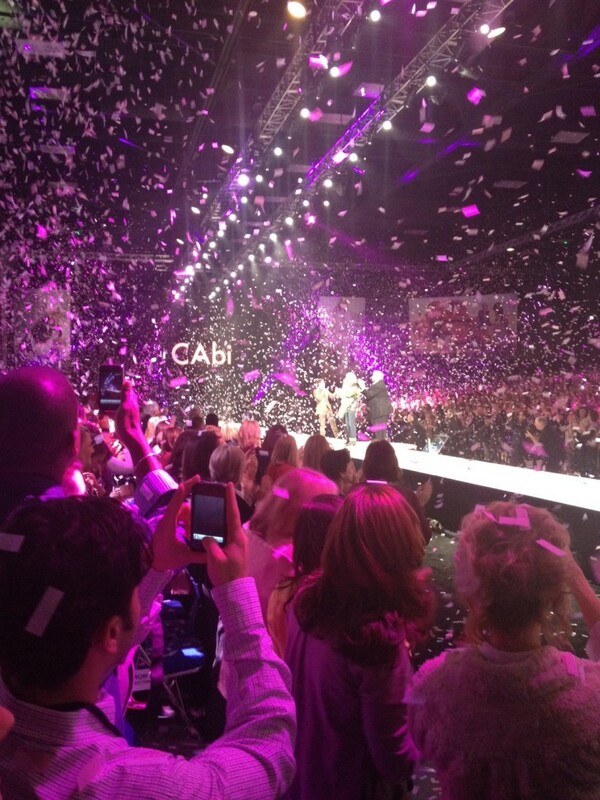 CAbi Clothing, a passion for fashion! 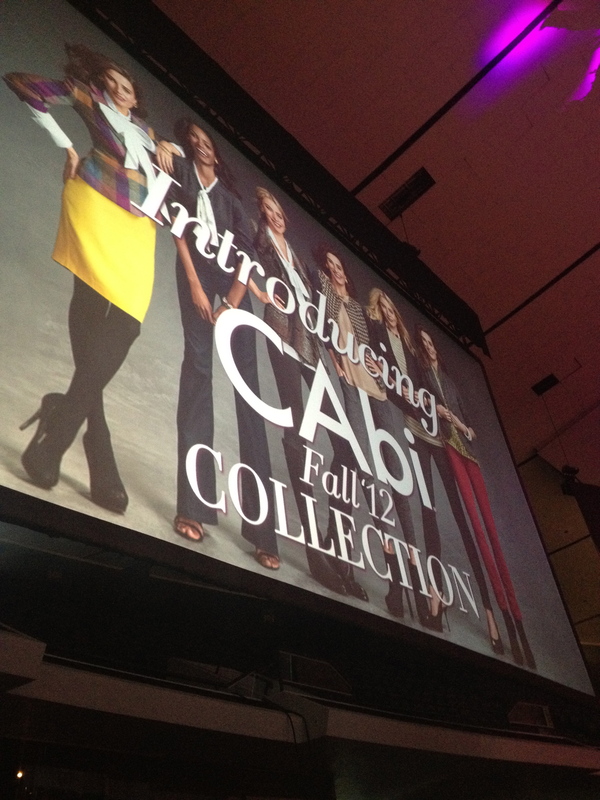 A few weeks ago I was invited down to San Diego to experience the fashion brand CAbi Clothing, while they displayed their Spring/Summer collection for their 3,000 consultants! Yup, CAbi Clothing is not only a fashion brand but a career opportunity for women, similar to Stella & Dot Jewelry in that they have consultants all around the country that sell the CAbi clothing by having private home parties. 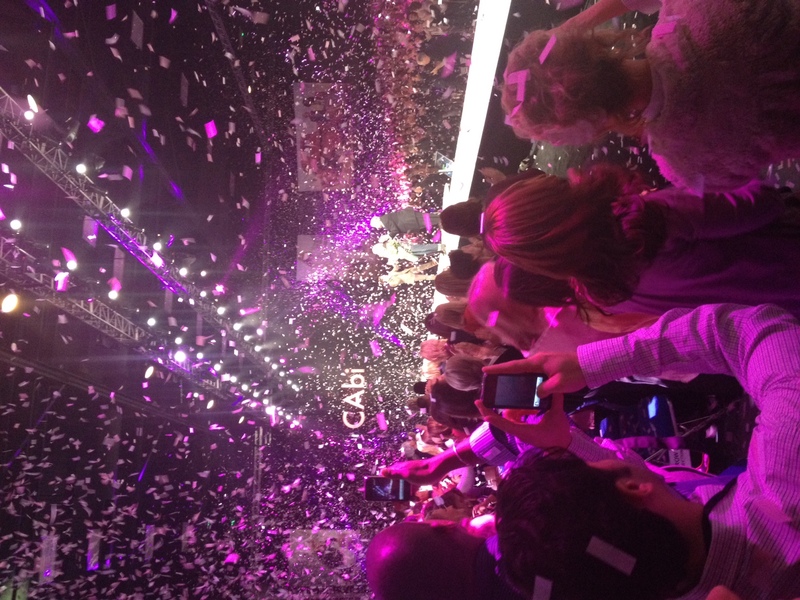 I was not familiar with this CAbi so I was excited to see what all the buzz was about. The CAbi girls took over the San Diego Marriott Marguis & Marina just like the bloggers did last August for BlogHer. 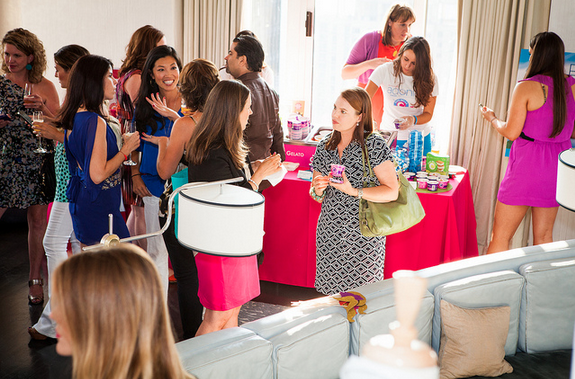 Fashionable women were running around everywhere, networking, laughing, and even screaming in excitement for the weekends activities! CAbi clothing started 10 years ago by Carol Anderson and has grown into a thriving business not just selling clothing but giving entrepreneurial women around the country an opportunity to own their own business. CAbi has armed these fashionista’s not just with with quality clothing, but the tools and the training they need to be empowered and successful. Every 6 months the CAbi consultants come to “CAbi Scoop” to preview the newest collection, learn about the inspiration for the designs, and hear about the latest industry trends for the season. This special weekend not only provides them with the knowledge to grow their business but to engage as a community. As an entrepreneur myself this is the part of the story that actually speaks to me the most. A company that inspires women to create a business doing something they love, to come together and support one another and to thrive independently. It’s perfectly savvy and sassy. 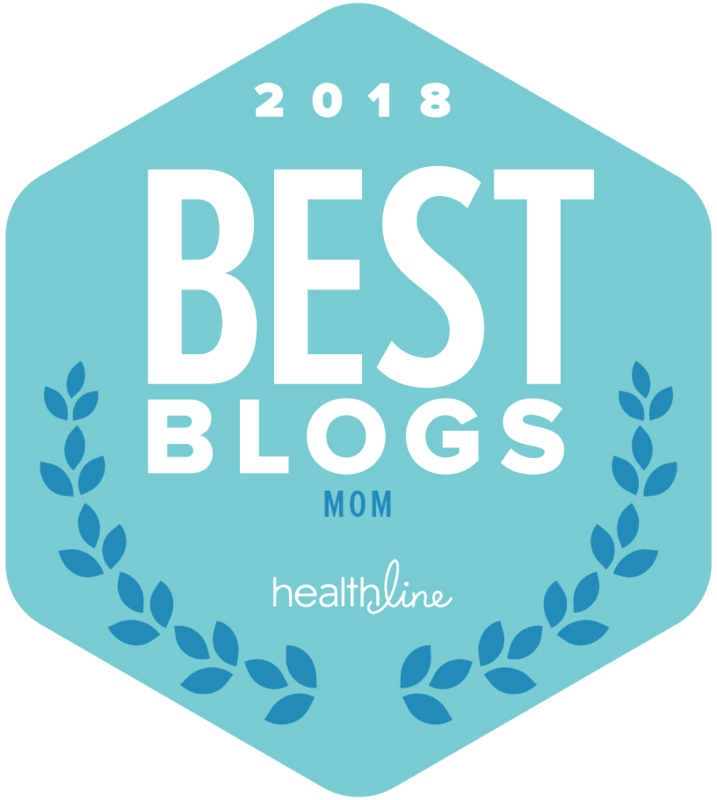 This event also introduced me to some stylish bloggers I had never met IRL before, Tammy from A Mom in Red Heels, Blessing from Working Mom Journal, Annelise and Kristin from Bon Bon Rose Girls, and Jennifer from The Stylish Housewife. 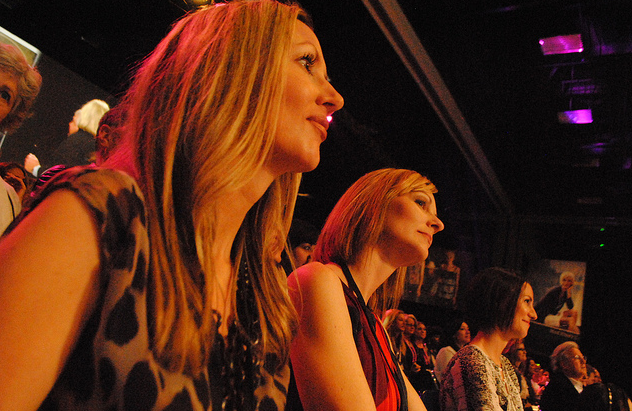 We sat front row during the high energy CAbi Fashion Show, the models rocked the runway and it was a very fun and entertaining show! The spring collection was all about celebrating how we spend our time, Girl Time, Party Time, Work time, Play time and Quiet Time. 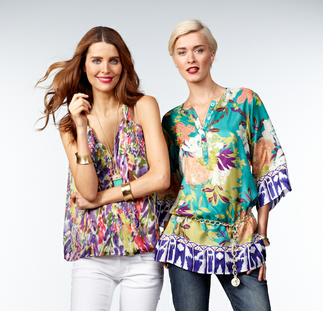 The line was definitely colorful and very energetic for spring. A few key pieces caught my eye, like the Sassy yellow pants (Cropped Bree Jean) LOVE. After the fashion show we grabbed some dinner but then it was off to SHOP! We were able to shop the past seasons and I scored some really cute things! If you are interested in learning more about being coming a CAbi Consultant or just want to shop the Spring Collection visit their website to get all the CAbi scoop! Look for a round up of my favorite pieces from the line coming soon…. It was wonderful meeting you! Scoop was a blast! LOVE your post, Andrea! 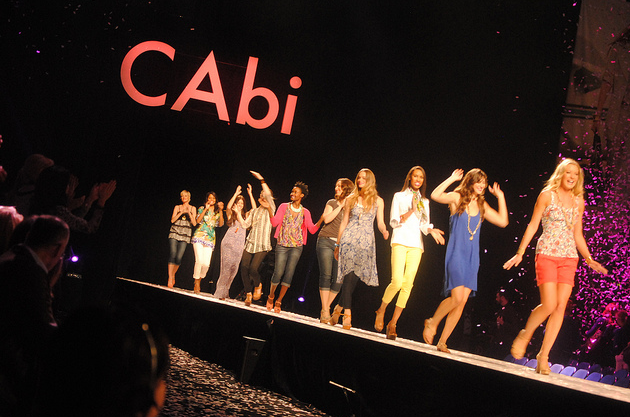 Thanks so much for coming out to San Diego to meet the ‘CAbi Girls’ and see the Spring ’12 Fashion Show!